Following the news that WWE NXT Champion Tommaso Ciampa was being replaced at an upcoming WLW event by Adam Cole due to injury, we have a new report on Ciampa's status from Dave Meltzer on Wrestling Observer Radio suggesting that Ciampa's injury is a lot worse than anyone could have initially feared. Tommaso Ciampa and Johnny Gargano have been embroiled in an incredibly long storyline on NXT that has just seen the pair reunite as DIY, with NXT Champion Ciampa convincing Gargano he lost the North American Title because they weren't together. The pair are now slated to go into the newly announced Dusty Rhodes Classic to compete for a shot the tag-team titles as well. DIY do fairly well in the Dusty Rhodes Tag Team Classic advancing past the first round with a win over The Undisputed ERA, but then they fall short against their fellow main roster call-ups Aleister Black and Ricochet. After the match, Tommaso attempts to throw Johnny into the boards, but he turns it around revealing he was feigning injury and is coming for the NXT Title. This seemingly confirmed the main event of NXT TakeOver: New York as Tommaso Ciampa vs. Johnny Gargano for the NXT Title, which would have seen the end of their epic story and Gargano's quest for the top belt in the promotion. However, that match seems to be all but off following the recent revelation from Dave Meltzer on Wrestling Observer Radio about the full extent of Ciampa's status and what it means for his future. 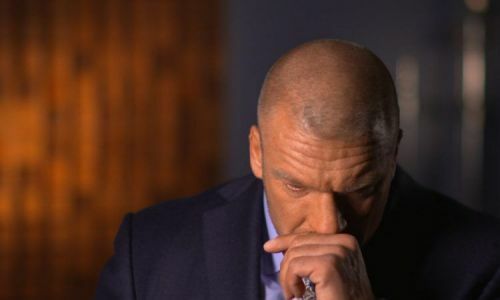 "This is actually huge, Ciampa is getting neck surgery, in the next couple of days, I don't know the day but WWE confirmed it that he's having the surgery. He's not going to be able to wrestle for a long, long time. As far as how long? that is not known. But if he's having neck surgery he's going to have to vacate that NXT Title." As you can see Meltzer has had the surgery confirmed to him by WWE and has stated that Ciampa will likely have to vacate his title. He also adds that Ciampa will not be wrestling Gargano in the hotly anticipated blow-off match at New York. "Gargano and Ciampa's blow off at WrestleMania, at TakeOver obviously is not going to happen. They're going to have to change a lot of plans. It was known that he was going to be out after WrestleMania, that was the idea, he was going to work through. Over the last week he must've gotten so bad that they just had to do the surgery now." Meltzer goes on to speculate that the neck surgery is probably going to sideline Ciampa for six-fourteen months. With NXT pre-taped and Gargano set to turn on Ciampa and reveal his true intentions a matter of weeks away WWE have got themselves a bit of a conundrum with what to do to resolve this situation. My bet is that Gargano will 'injure' Ciampa and will wrestle someone else for the vacated NXT Title. It will be a bit of a shame and it isn't a definitive ending for this storyline, but it's the best they have given the circumstances. We here at Sportskeeda wish Ciampa all the best with his recovery!